Will you let time pass by and miss out on your opportunity? Or will you take action? To wrap this up with another common phrase, it is easiest to steer a moving vehicle. Once you start to act, all it takes is tenacity to keep it going! 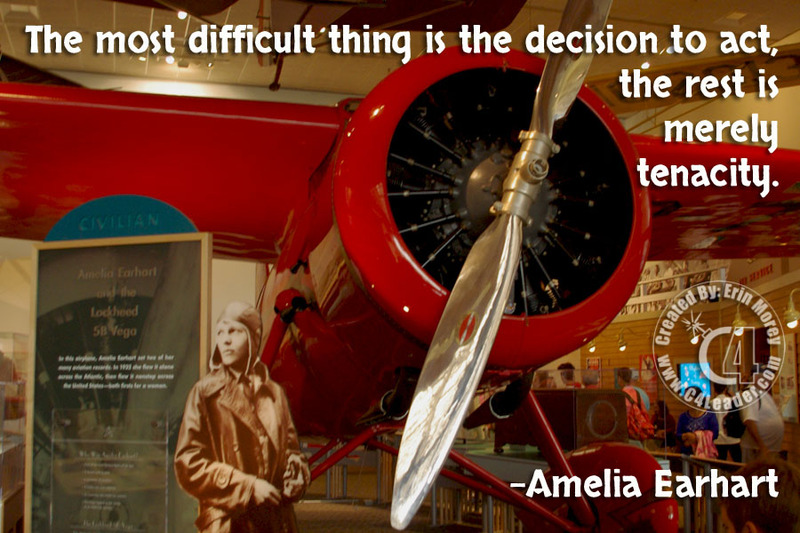 Amelia Earhart is an American aviation pioneer and author. She was the first woman to fly solo across the Atlantic Ocean. She set records, authored best-selling books and was instrumental in the formation of an organization for female pilots, the Ninety-Nines. Earhart disappeared in 1937 trying to circumnavigate the globe. 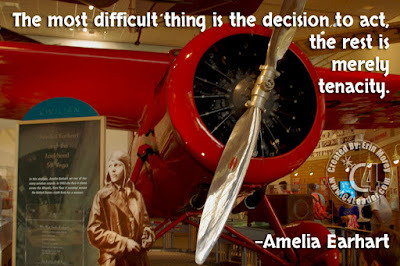 It is one of the great mysteries of aviation and the fascination with her life and disappearance continues even today.